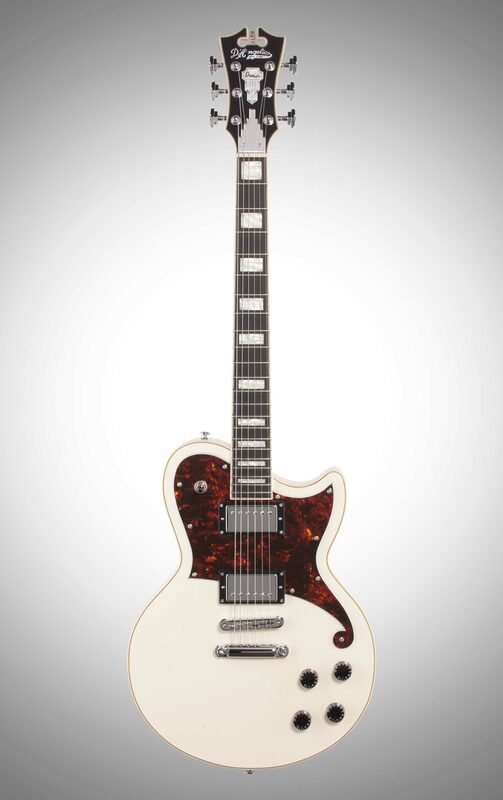 With a sound as large as its namesake, the D'Angelico Premier Atlantic Electric Guitar is a powerful single-cutaway solid-body. 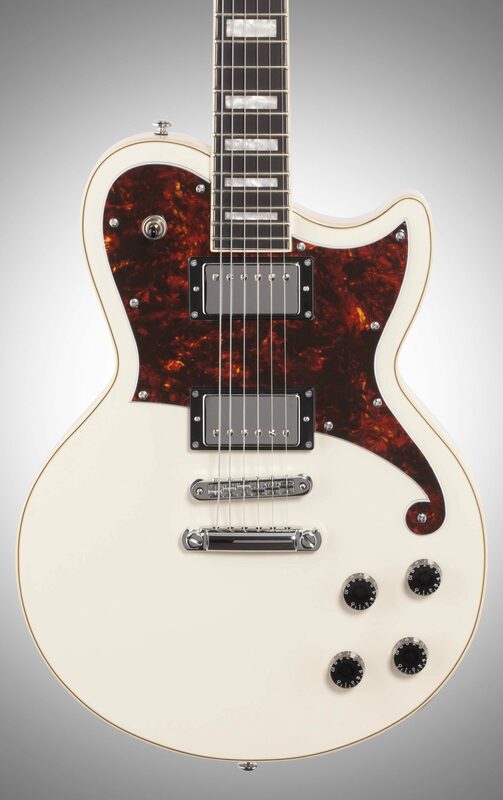 Strapped with two Seymour Duncan Designed humbuckers, the Atlantic is perfectly suited for full, loud tones -- but two push/pull tone knobs for coil-tapping also offer exceptional single-coil sounds. Designed with your shoulder-ache in mind, a deep belly cut and thinner body depth keep the Atlantic lightweight while still offering tremendous sustain. 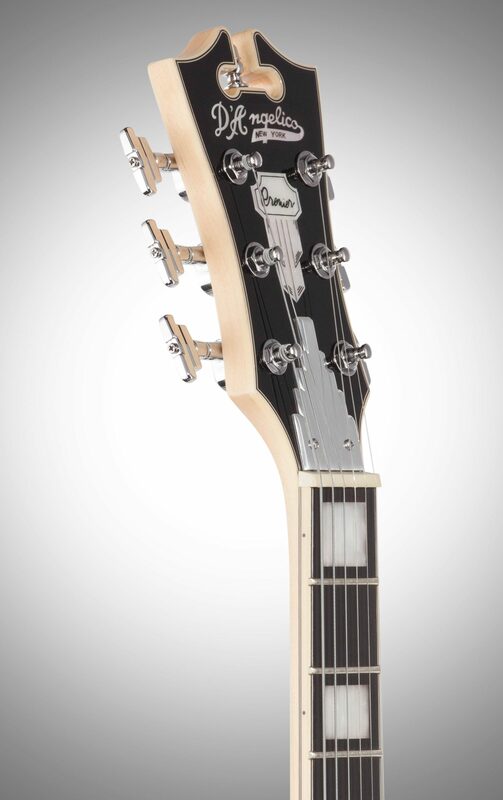 - Logo (Back): "KP180001-Silver Screen"
Overall: Great guitar. 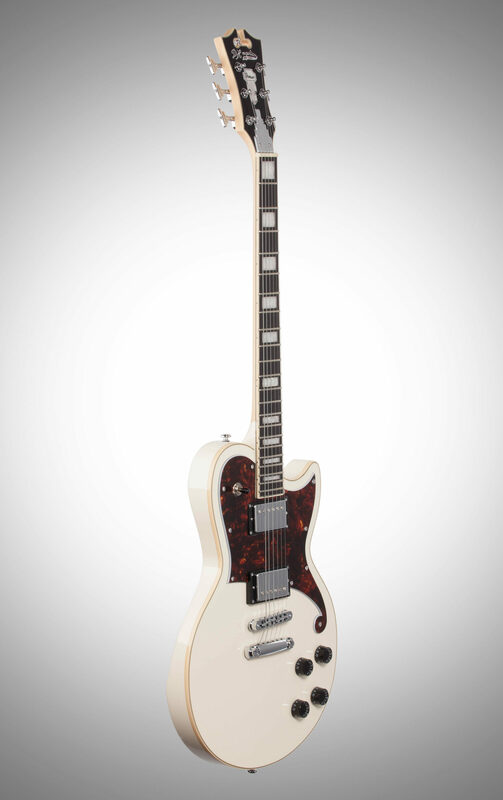 Great great guitar. For the price, this one is hard to beat. 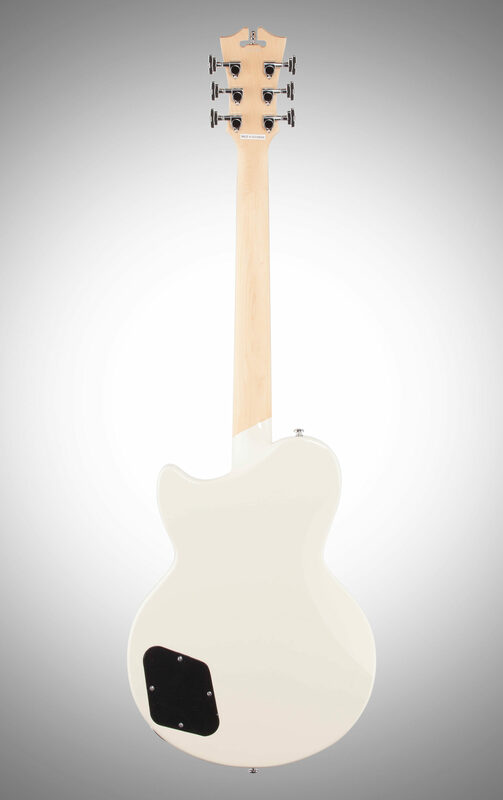 Great pickups (no hum whatsoever), comfortable neck. 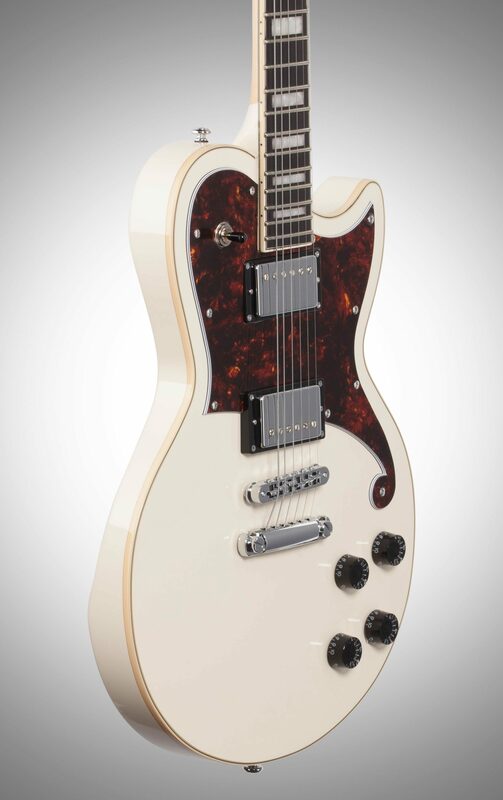 I love the D'Angelico signature design. 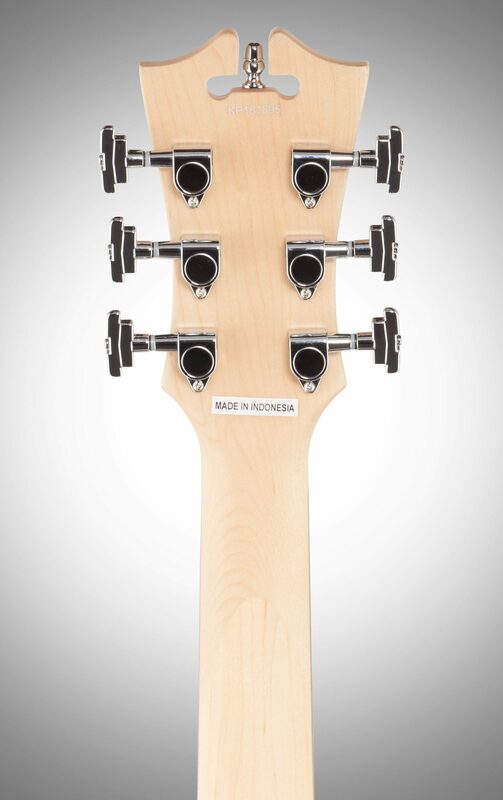 The headstock is simply beautiful. Everyone always compliments me on this guitar. Totally worth it.